CASPER, Wyo. 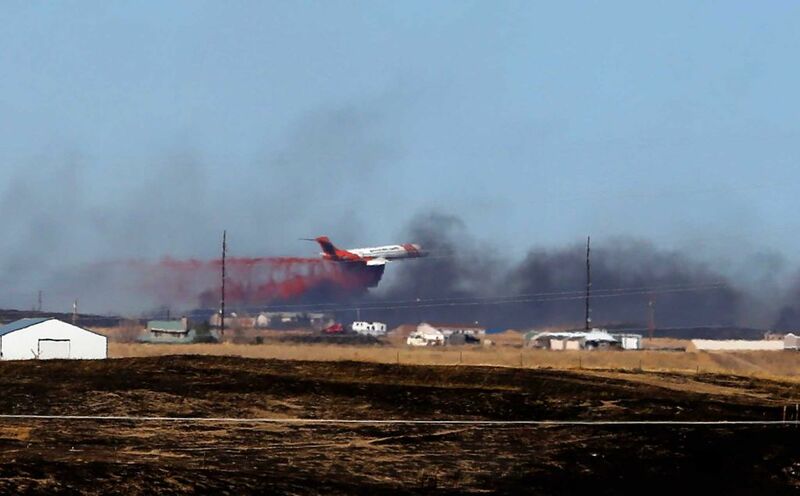 (AP) — The latest on a destructive wildfire burning in Wyoming (all times local): 8:40 a.m. The Red Cross is asking people to donate yard tools to help victims of the wildfire near Evansville, Wyoming. Red Cross spokeswoman Pat Kondas says those who have lost their homes will need rakes, shovels and leather gloves to help search for any personal belongings left in the fire debris. An evacuation order remains in effect after the fire flared up again Monday afternoon. Kondas tells KTWO Radio (http://bit.ly/1R97xoS) people are asking when they can get back to their homes. Other help offered by the Red Cross includes vouchers to stay at motels, coupons for clothing and food, help getting medicine and medical devices, and counseling. A temporary shelter for fire victims has been set up at Casper College. At least 12 families have lost their homes because of a wind-driven grass fire that has burned nearly 16 square miles in central Wyoming. The fire started Saturday in a composting area at a regional landfill near Casper. Winds gusting up to 50 mph on Sunday pushed the blaze to the east, forcing evacuations in the Evansville area. Natrona County Fire Marshal Bob Fawcett says no one was injured. Homeowner Daniel Clark tells the Casper Star-Tribune (http://bit.ly/1K6sR9d) that along with his house and barn he lost six dogs, five cats, two horses, a cow and his wife’s wedding ring. He was able to rescue two dogs and a horse before smoke forced him out of the area. The Wyoming State Fire Marshal’s office is investigating the cause of the fire. New ILCOR Resuscitation Guidelines: What about training and courses in UK after 10/15?